The Split Jerk is a movement that requires immense amounts of power and technique and in contrast with the push or power jerk, is used to lift the most weight. If you want to push your Clean and Jerk PR through the roof, perfect this technique. In WODs we often see a preference of push/power jerk or even a “push press” over split jerks. 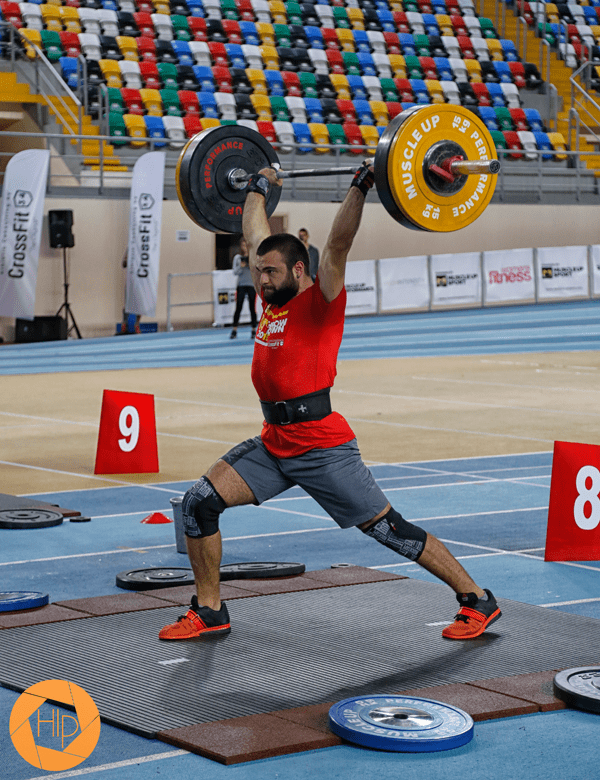 If you ever have to face a heavy clean and jerk, the time put into mastering the split jerk may help you achieve those much needed kilograms. 1. 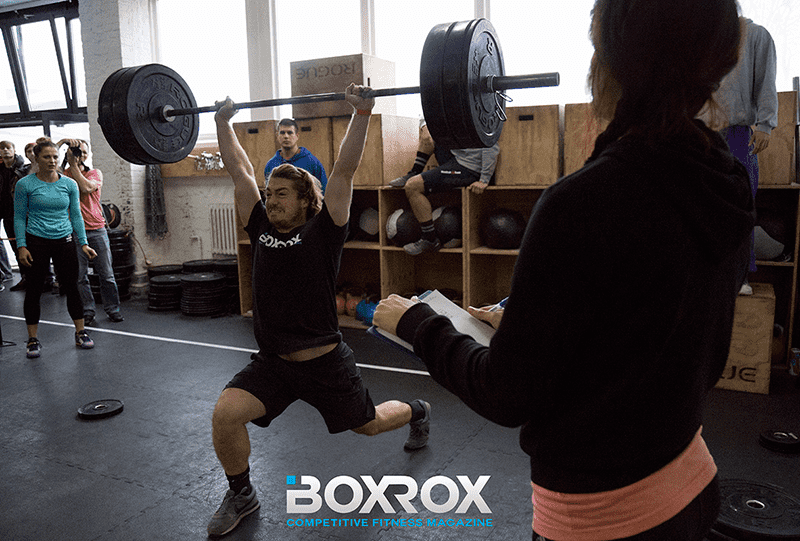 BODY POSITIONING: SPLIT JERK – NOT SPLIT SPLAT! When someone tries a split jerk for the first time, it is often more of a foot splat, but it needs to be precise. As a coach, at a side view, I look for a nice straight line between the bar, shoulders and hips with an even distance between the feet. This allows your legs to take the weight rather than your lower back or joints. Is the shin of the front leg vertical? Is the back leg bent? Is the back foot on the toes and correctly aligned with the knee? Aside from the legs, make sure that the shoulders and hips are directly underneath the bar when you receive the weight, this will make it feel light. Push press is a fantastic exercise to work on the drive, however you must use the leg drive as much as possible by driving up onto the toes, and staying on the toes until the end of the press, this may be harder but it will be rewarding! In contrast, if your leg power is good but your bar path is off, power jerks are a great way to correct the bar path. Many athletes can save a bad split jerk but may be punching the bar incorrectly, using a combination of push press and power jerk can help solve the problem naturally. Thank you to Bulgarian International Weightlifter Mehmed Fikretov for the weightlifting style push press! This was also mentioned in my Clean article, having a comfortable shelf on the shoulders for the bar will allow the dip and drive to be straight and powerful. If you struggle to keep your chest or elbows up during the dip you may have to work on improving your thoracic mobility or loosening your lats and triceps. Alternatively it may be postural strength, for this jerk dips with heavyweight which for 3 sets of 5 will help the athlete strengthen the dip posture. In addition a common habit to watch out for is to compromise the upright position of the rack by using the arms too early, you must let the shoulders drive through the bar before your arms punch through. It is common to at the start to be able to push press more than you can jerk. Split jerk refinement takes a lot of patience, but when it is perfected that jerk drive will become snappier, this will allow your well crafted split to be ready to receive the weight BEFORE the weight starts falling and you will be able to slam that bar in triumph. For those that struggle to feel stable in the split jerk I recommend engaging in some single-leg strengthening exercises such as alternate leg lunges and overhead split squats. Split Jerk refinement takes time and a lot of patience, but when it is perfected, that Jerk drive will become much snappier. This will allow your well crafted Split to be ready to receive the weight BEFORE the weight starts falling, and you will be able to recover and slam that bar in triumph. 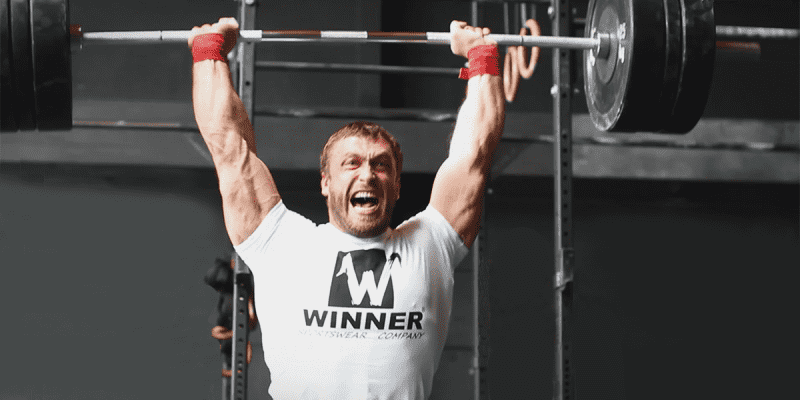 If however, after a year or so of persisting unsuccessfully with the Split, you may have to settle for the Power Jerk and focus on that as your preferred method for the Clean and Jerk. This routine should be done apart from other overhead movements because you will find your shoulders pretty useless after all that work!